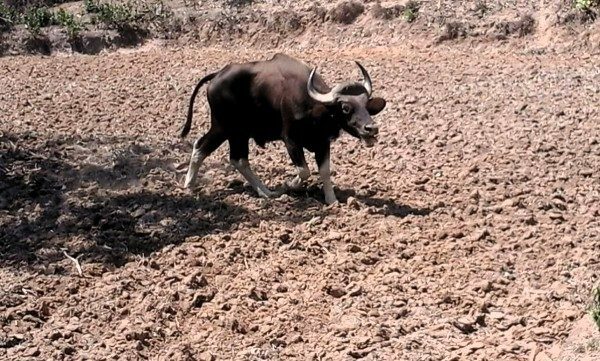 Even as the district and civic authorities are now engaged in trying to find a solution to water problems, concern is growing among forest officials, conservationists, and villagers over the dry conditions prevailing in forests. It is driving wild animals out into human habitations. 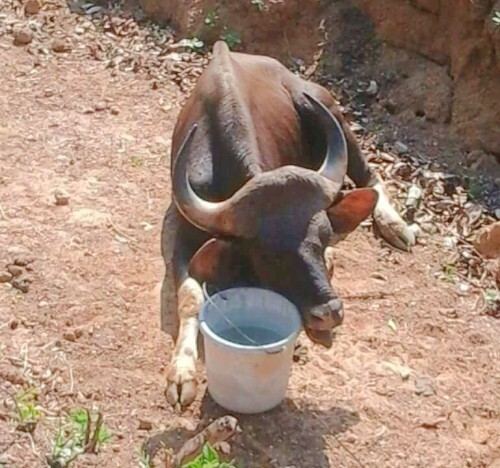 On Tuesday a bison entered Nagargali village in Khanapur taluka in search of water and the villagers understood this and offered it a bucket of water which the Bison happily drank the water offered and later it rested besides the water bucket for couple of hours and then disappeared in jungles. Many of the water sources in forest areas have dried out and animals are now entering human habitation for food and water. The fear of man-animal conflict escalating is growing. We need smart city, which also include trees. It is very important to plant trees.. And big trees samples like banyan, peeple, neem, etc all these trees were planted previously and we need them now too! !